Prepare for the oncology boards with confidence! 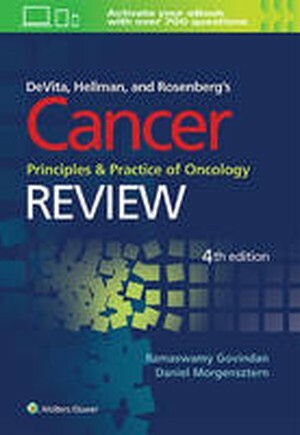 This comprehensive review book closely follows the contents of DeVita, Hellman, and Rosenberg’s Cancer: Principles and Practice of Oncology, 10th Edition, including brand-new, state-of-the-art topics. Hundreds of multiple choice and case-based questions cover medical, radiation, and surgical oncology, as well as hematology, diagnosis and staging, molecular biology, immunotherapy, targeted therapy, and more. The questions are also available online in an interactive format, allowing you to study and review anytime, anywhere! All questions have been completely revised to mimic the common formats you’ll see on the exam. Detailed answers with explanations are provided for every question, helping you understand the “how” and “why” behind each correct response. 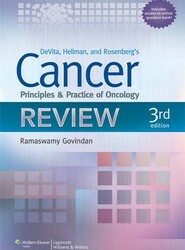 Content reflects the most current information from the leading oncology text, with corresponding chapters to DeVita, Hellman, and Rosenberg’s Cancer: Principles and Practice of Oncology, 10th Edition provided for further review.